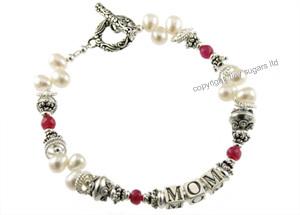 The Akiko in Rubies Mothers Bracelet features genuine sapphire precious gemstones. glow. The stones are solid in color.